"You have won Rose's Genealogy Award". "You deserve the highest praise for you accomplishment and dedication. I love the graphics and the clean style". "I was very impressed by all the hard work. I have to congratulate you on an outstanding achievement in web site design, both in appearance and in content. Yours is truly an exceptional presence on the web". "Congratulations! 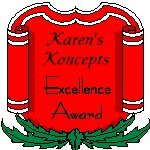 I have chosen your site for our Family Preservation Award! 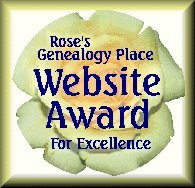 One cannot apply for this award...I chose your site because: you have decided to share your family history and information, your surnames are easy to find, your page loads quickly and the layout is easy to follow...filled with lots of love and caring for your family history". 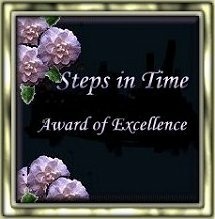 "I would be pleased if you would accept my award. 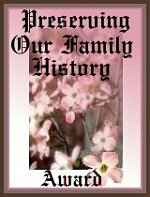 I give this to those who have worked hard on their home pages: sites which show an investment of time, thought, courtesy, creativity, attention to detail and a desire to preserve and make available their family history to others". Thank You, Dr. Luv! "Your site has been chosen to receive the Ancestry Connections Award". "I would like to present you with the PYFT Special Award. 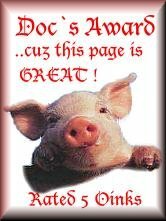 Pages cannot be nominated for this award...it goes to sites I have visited and whom I think go an extra step in helping others!" A Big Thank You, DeWanna! "...I love your home page...so clean and pretty. 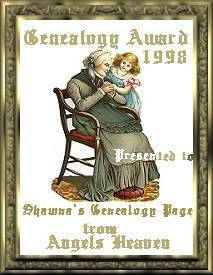 Congratulations and please accept my Genealogy Award for your hard work. You earned it."